Jennifer attended ‘The Hunger Games: Mockingjay ? Part 2’ Paris Photocall at Plazza Athenee, today. We already added photos to our gallery! JustJared.com: Jennifer Lawrence wears her hair sleek and chic for a private dinner at Hotel de Rome with the U.S. 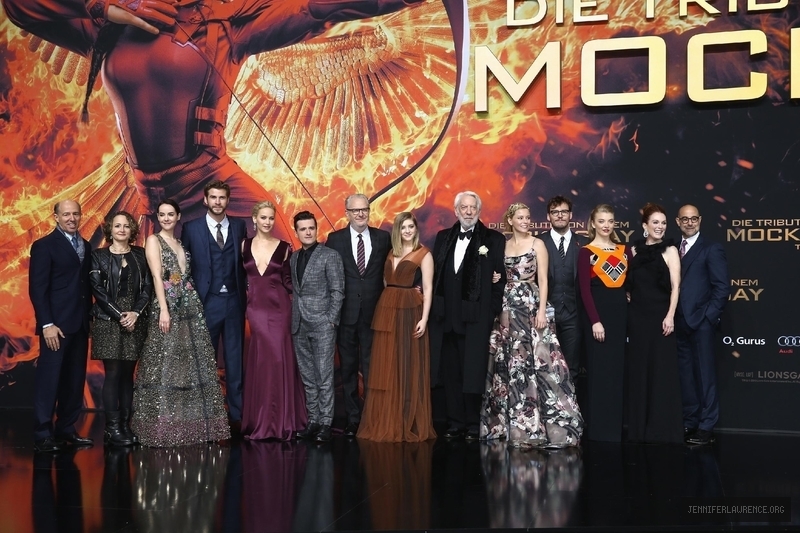 Ambassador to Germany celebrating the release of ‘The Hunger Games: Mockingjay ? Part 2’ in Berlin earlier in the week. The 25-year-old actress joined her co-stars Josh Hutcherson, Liam Hemsworth, Jena Malone, Natalie Dormer, Elizabeth Banks, Donald Sutherland and Willow Shields for the event. A little fun fact ? Jacqueline Emerson, who starred in the first film as Foxface, is the daughter of the German ambassador ? John B. Emerson! 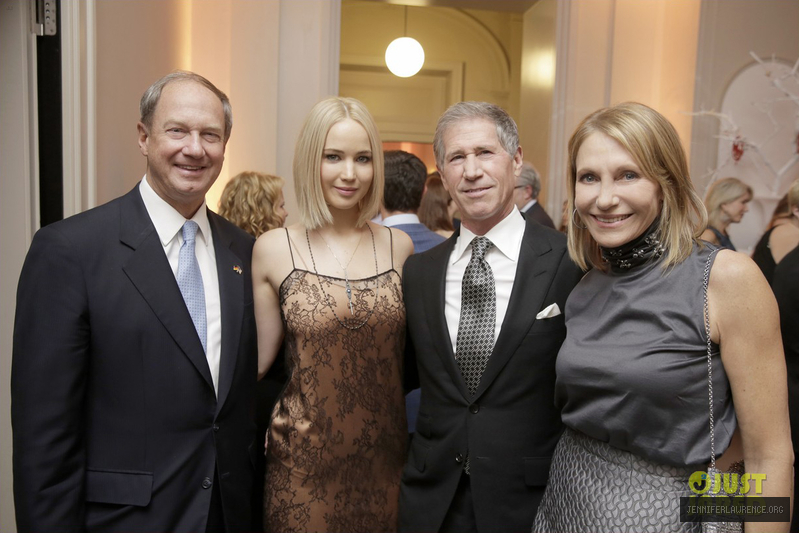 Jennifer Lawrence attended the book launch of ‘Tim Palen: Photographs From The Hunger Games’ in London last night. Check out photos of Jennifer arriving&leaving the party and also some photos from inside – now in our gallery. Jennifer wears Dolce & Gabbana dress. Jennifer Lawrence and her co-stars Liam Hemsworth and Josh Hutcherson attended at the premiere of their film ‘The Hunger Games: Mockingjay ? Part 2’ held at CineStar on Wednesday (November 4) in Berlin, Germany. The trio have just begun their press tour for the final film in the four part series! Jennifer looks absolutely stunning in Dior Haute Couture dress and Neil Lane jewels. I’ve added +50 HQ&UHQ photos of Jennifer attending ‘The Hunger Games: Mockingjay – Part 2’ press conference in Berlin on November 3rd.